All of the reception halls, party venues, and banquet halls of Cincinnati don’t come close to the sophistication and luxury of Oasis Golf Club. They are able to provide a beautiful outdoor setting to serve as a lavish wedding chapel and can take your celebration indoors for you and your guests to party the night away. They have a great wedding package with plenty of complimentary extras; if you want to customize their offer then they are happy to do so. 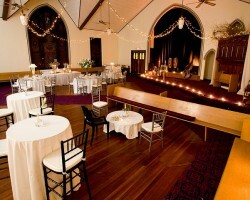 For a non-denominational couple who still want the sophistication of a wedding chapel, The Sanctuary is the answer. 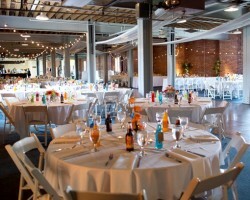 Amongst Cincinnati wedding venues there is no place that is more able to accommodate any style of celebration. 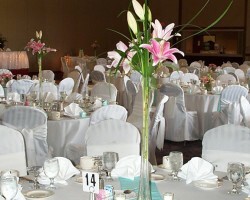 In fact their planning team can transform the venue to suit a wedding, birthday party, Quinceanera or corporate event. While this kind of luxury does not come cheap, the budget of the couple is always kept in mind and The Sanctuary does everything to offer all of their services for low rates. While the set out and competitive prices of this venue will have you ready to book The Woodlands, their reviews will have you completely sold. The previous couples who have held their celebration at this location have loved every aspect of the venue. 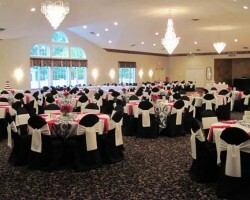 They have great banquet facilities and beautiful wooded surroundings for wedding photos. All of these positives added together make for one of the best wedding venues in Ohio. They also have two spaces to choose from so you can have something to suit you. 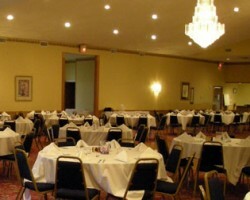 With its high ceilings and large picture windows, the Wunderland space is one of the best ballrooms in Cincinnati. It can accommodate anywhere between 75 and 400 guests and can be completely tailored to make your wedding an intimate affair. This small wedding venue also comes complete with a private outdoor deck and gazebo. With a beautiful option of having a garden wedding venue too, you will be spoiled for choice at Wunderland. You can also make full use of the in-house chef that provides an extra-added bonus to this venue. For those couples that aren’t content with settling for basic wedding venues in Cincinnati, OH, they should turn to Longworth Hall. This location is truly one of the most unique in the city. It is a registered historical building that combines natural exposed brick and wooden beams to create a warm and intimate ambience. They have a full range of services including a complimentary planner to make things a little more affordable. With this level of support and such a breathtaking venue that also comes at competitive prices you will be sold on Longworth Hall.